TEL AVIV – More than 30 Israeli families who lost relatives to terror attacks have signed a letter to FIFA, the world governing body for soccer, accusing the Palestine Football Association (PFA) and its president, Jibril Rajoub, with severe violations of its statutes, including incitement to terrorism. The letter charges the PFA with breaching two provisions of FIFA’s Statutes and two of the association’s Disciplinary Code. Included in those violations are Palestinian soccer competitions named after Palestinian terrorists, such as an annual contest named in honor of PLO founder Khalil al-Wazir who, according to Palestinian sources, was behind the deaths of more than 120 Israelis. 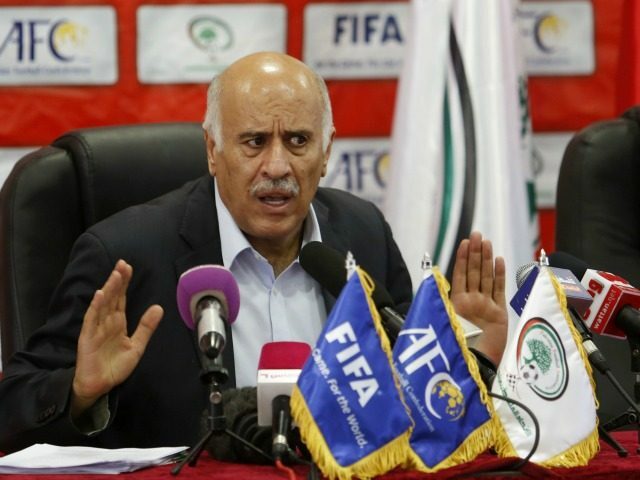 The letter also said PFA’s boycott of Israel ran contradictory to FIFA’s commitment to using soccer as a “bridge to peace.” Rajoub has called for the expulsion of the Israel Football Association (IFA) and may use an upcoming FIFA summit in Bahrain to promote the idea again. Rajoub himself is a former terrorist who spent 15 years in Israeli jails before being released in a 1985 prisoner swap. He has served in several senior positions in the PA, including chief of its secret police.